If you’re looking for a glossy new ride at a great price, then the Malaysia Autoshow is the place to be this month. As the largest automotive festival in Malaysia, the four-day event will feature new cars and accessories from top brands like Honda, Toyota, BMW, Mercedes-Benz, Peugeot, Volvo, Jaguar, Land Rover, Renault, Subaru, Nissan and Perodua. Car-lovers will be able to compare and contrast different models to suit their needs – all in one showroom! 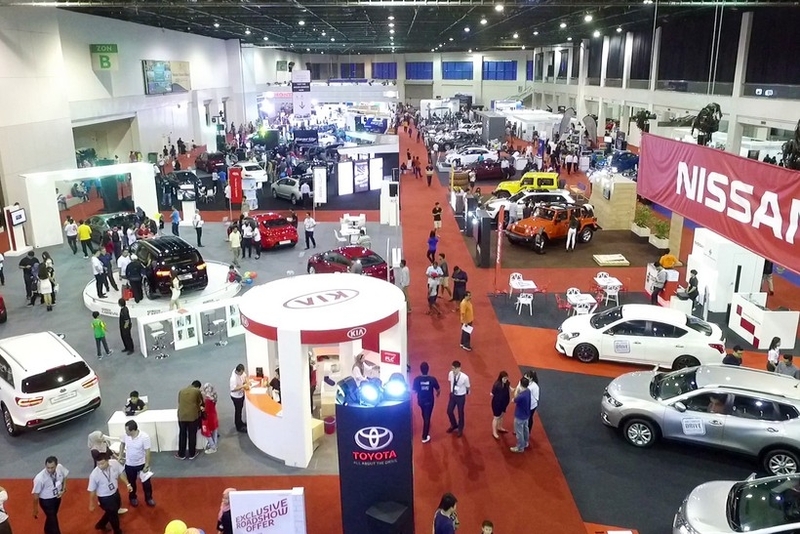 Besides enjoying the unbeatable promotions automakers will be offering on cars, potential buyers can test-drive these vehicles before making a decision, taking a scenic route near the Malaysia Agro Exposition Park Serdang (MAEPS), where the car expo will be held. That’s not the only exciting thing to look forward to. For the very first time, the Autoshow will host a 4×4 SUV experience, where those seeking hardy offroad jeeps can try these monster machines out on three tracks, including a brutal extreme course that lives up to its name in every sense of the word. Afterwards, visitors are invited to take part in an exciting auto sweepstake, where one lucky winner will walk away with the grand prize of a Peugeot 208. This sporty and elegant hatchback, powered by the awardwinning PureTech Engine, is loaded with attractive features including the intuitive i-Cockpit interface and a slick 6-speed Quickshift autobox. Meantime, for those with a taste for retro cars, the Malaysia Autoshow will also be displaying classic models from the 1950s that vintage car aficionados can get up close and personal with. If you want spend quality time with the family instead, the event has just the activity for a great bonding session. Bring your kids and try the karting slalom, the hottest new trend in kart racing. Suitable for children aged eight and above as well as adults, participants navigate an obstacle course at a controlled speed, giving them a taste for the thrill of motor sporting. Once you’ve worked up a sweat on the tracks outside, head back in and refresh yourself with mouthwatering fare from pop-up food stalls serving up local delicacies from various states around Malaysia. With plenty of cars, food and motor activities throughout the four days, it’s set to be a high-octane weekend of automobile discovery.